There are dozens of great ways to make prototype parts. 3D printing in many variations are all the rage these days (and for good reason), but sometimes you still need parts that can take the heat. There’s nothing like great CNC Machine prototype parts when you need something for real-life stress and abuse. This customer needed a part variation that was significantly stronger and more rigid. The design is similar to the older parts, but more robust. 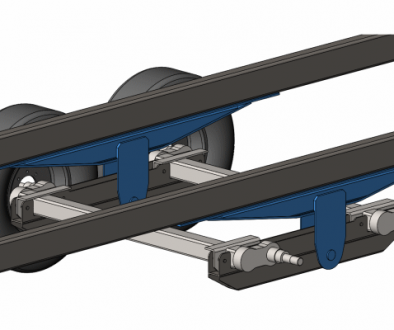 After analyzing the needs and available space, the design for these includes a little more material, a better distribution of material, and stronger steel. First came the redesign and approvals. Then, the CAD files were sent to one of our local favorite CNC Machine Shops, Monson Manufacturing to be made. Just send the files and wait for the note to pick them up. I truly love having that kind of relationship. These are, of course, not complicated parts, but it’s always fun to get the new pieces, feel the heft and know they’ll work perfect. 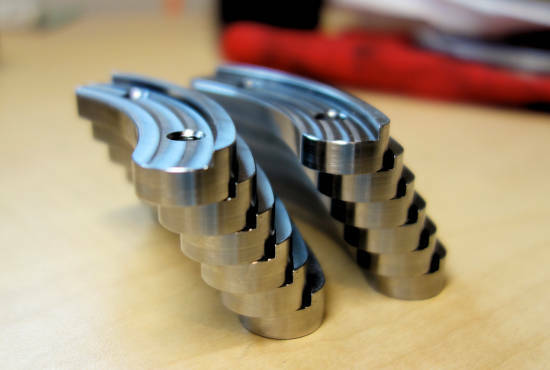 Plus, who doesn’t love beautiful CNC machine parts? These particular parts are in half-hard Stainless Steel 17-4 for strength and corrosion resistance. And, because 17-4 is reasonable to machine in the half-hard state. The previous version (designed by a different company) didn’t hold up, but these will. Roughly speaking, these clips are 4 times stronger — partly because of material choice and partly because of the engineering design changes. The final CNC machine parts could have been done in a high strength steel then heat treated for maximum strength, but that was not necessary. Strength is a balance of material distribution, not just ultimate material properties. And, for these it would take longer and cost more. Finally, the choice of Stainless Steel gives the added benefit of corrosion resistance. A benefit in the given environment. CNC Machine parts may be a throwback to old ways of doing things. There are some disadvantages compared to 3D prints — even in metal — like cost and time to machine, but it’s still the easiest way to get parts that will stand up to real world high stress and testing. Parts that count when safety is a factor. As we think about functional prototypes and what we want to accomplish with them, materials come straight to the front. Then, the process of making them. In this case, full load testing will be done to prove the design, so material is a big deal. CNC Machine parts are one way to get pieces that will take the full stress and the heat. All that said, we remain fascinated by the almost daily advancements in rapid prototyping for metals. If you are not in tune, this is a fascinating and rapidly advancing field. 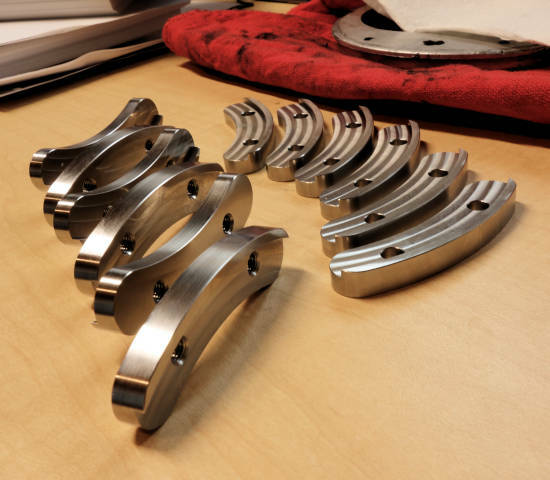 Having a good relationships with a skilled CNC Machine Shops are important to us. That’s a highlight here with this example and these simple, but critical parts. We have highlighted one, but there are many great shops in the area. Thank you for all the great work. 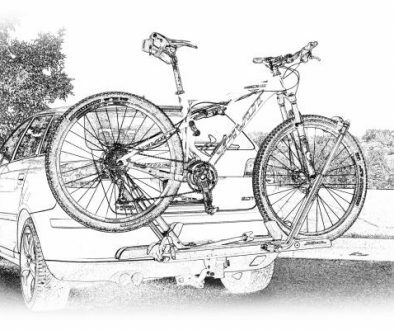 Bike Rack Innovation A Quick Service Addition For Customer Convenience For those who transport bicycles a lot, having a great bike rack for your vehicle is a must. Another good thing is a service stand that allows simple maintenance for the bike when you get there. 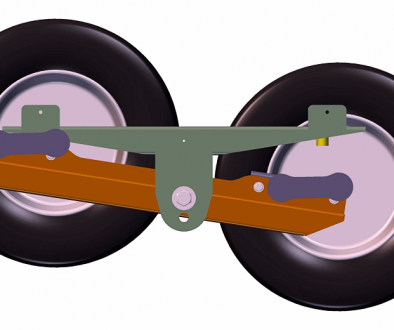 The Walking Beam Suspension is not new, nor are Torsion Axles. They both have unique advantages and cool benefits, so what about putting them together? . . . For smallish trailers? Oh, but there are some interesting design challenges.